For a second consecutive year, 24MEDIA took part in an ActionAid Hellas mission in support of social awareness actions. 24 ActionAid foster parents from Greece and Cyprus participated in a unique integration trip to this year’s destination, Tanzania. During the 6-day trip, the foster parents had the opportunity to stay with families and children supported by ActionAid on the island of Mafia in Tanzania. 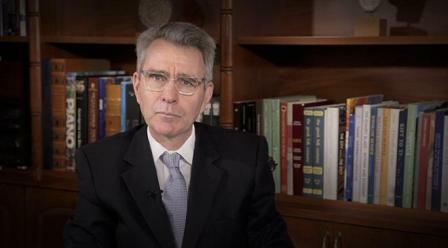 Christos Chatziioannou from 24MEDIA and the photographer Nikos Mastoras were among the foster parents and they provided daily coverage and photographs from the mission through the exclusive column “Tales from Tanzania” on News 24/7. The purpose of the daily blog was to inform the Greek public of ActionAid’s extensive actions in the area and to provide insight into the way of life of the people of the African country, in a direct and substantial way through illustrated articles. Christos Chatziioannou, Head of Native & Branded Content for 24MEDIA stated “Each journey with ActionAid Hellas, leads us to believe even more in the purpose and work of the organization. Needs are very different in different corners of the world and only by living under the same roof with a family from Africa, Asia or South America does one understand the extent to which being a foster parent helps make the world a better place”. 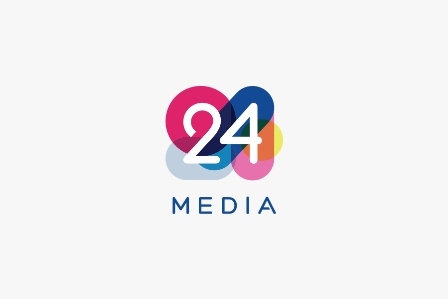 24MEDIA Holding is announcing its participation in Marathon Venture Capital, a fund that invests in innovative Greek technology companies with a global outlook. Dimitris Maris, Founder and Chairman of 24MEDIA, will also join the Marathon Venture Capital's Advisory Committee. George Tziralis, Partner at Marathon Fund stated: “We are glad to have prominent investors onboard and thanks to their trust, we will be able to support ambitious entrepreneurs in their effort to establish world class technology companies”. Dimitris Maris, Founder and Chairman of 24MEDIA, Greece's leading digital publishing group, is a serial entrepreneur and technology investor. He noted: “I'm delighted to be collaborating with the Marathon fund team, which has a proven track record on both the financial and the product side of business. The emergence of a budding ecosystem of entrepreneurship and innovation in Greece has been a consistently positive story during the crisis. The Equifund program can prove a catalyst towards the qualitative upgrade of the Greek economy and a strong motivating factor towards attracting and retaining its high-skilled workforce”. Members of the Advisory Committee of Marathon Venture Capital also include Elodie Donjon, Investment Manager at European Investment Fund and Ioannis Martinos, CEO at Signal Maritime. 24MEDIA, the No1 digital publisher, with a high sense of corporate responsibility, is in support of the NGO “Equal Society” and the largest educational scholarship scheme in the country under the name “Studying under Scholarship”. As the scheme’s media sponsor, 24MEDIA is promoting high quality content through its network, so as to inform the Greek public with regard to equal opportunities for all in education. One of the group’s strategic pillars is to highlight the immense value of education and to support organizations that adhere to the concept. On Thursday 3 May, an event was held by “Equal Society” at the Niarchos Cultural Foundation, during which awards were presented to collaborating educational institutes and media sponsors, including 24MEDIA. For a second consecutive year PopCode is to participate in the Cannes International Film Festival with full coverage by our correspondent Theodoris Dimitropoulos. The most exciting film festival begins on the 8th of May and lasts for 12 days. PopCode will be there throughout its duration and will keep Greek audiences informed of what is going on at the most renowned film contest through, features, interviews and reviews. Readers and followers can remain updated through a specially formulated page and PopCode’s social media accounts and enjoy images from the Cannes Festival. As of Monday 7 May, the Weather Forecast has a name and surname. The meteorologist Thodoris Kolidas is joining News247.gr. and Radio 24/7. 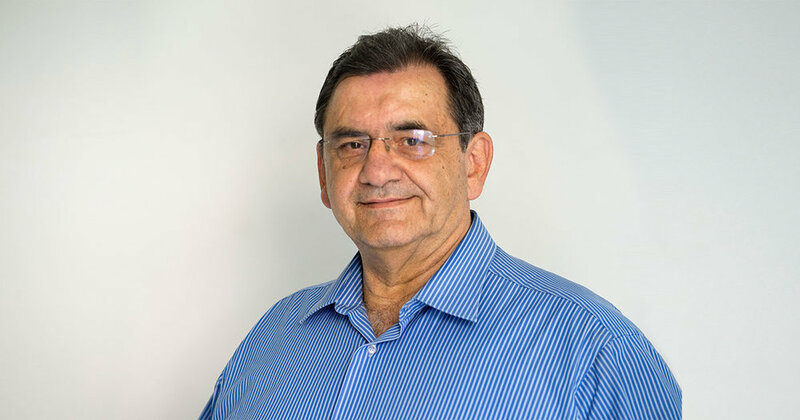 After a successful career of more than 30 years, Thodoris Kolidas is with us to provide the daily weather forecast for the whole of Greece and the world with accuracy and precision. Analytical prognosis, extreme weather, climate change and environment. Every day live at the Radio 24/7 morning zone and noon current affairs. Tune in to 88.6 FM for an eponymous Weather Forecast. For a 7th year in a row, 24MEDIA in collaboration with “Follow me now”, have been organizing the initiative entitled Love Auctions, under the group’s corporate responsibility initiatives. Throughout the action, some of Europe’s most important athletes and teams offer items to be auctioned for a worthy cause. This year, we are supporting the association (PEGAP-NY) (Panhellenic Association of Parents & Guardians of Disabled Individuals – Mentally Handicapped). The auctions will commence on Monday 16 April and shall last for a week, via the webpage www.dimoprasiesagapis.gr. The action is mainly promoted by Sport24.gr and Sport24 Radio 103.3. Collector’s kits from all major clubs, personal objects belonging to leading figures in Greek sport but also coveted items from large European clubs are to be auctioned in an action that will be concluded on Friday 20 April. We indicatively mention certain items signed by: Ernesto Valverde, Lionel Messi, Luis Suarez, David Fuster, Nick Calathes, Giorgos Printezis, Chori Dominquez, Dimitris Kourbelis, Dimitris Siovas, Thanasis Antetokounmpo, Aleksandar Prijović and many others. **Our sincere thanks to the clubs: Athletic Bilbao, FC Barcelona, Valencia CF, PAE Olympiakos, PAE Panathinaikos, PAE PAOK, PAE ΑΕΚ, ΚΑΕ Olympiakos, ΚΑΕ Panathinaikos, ΚΑΕ ΑΕΚ as well as all the athletes personally for their kind support and the donation of items to be auctioned. Vasilis Papachristodoulou is taking over the duties of Chief Operating Officer throughout the entire 24MEDIA group. Mr. Papachristodoulou, a distinguished executive, with many years of experience in the media sector and in business administration, founder of the sports site Contra.gr and consultant on development and strategy issues in large companies (SKAI, IMAKO, PeopleCert). During his last position in 24MEDIA, held the role of Business Management Consultant. For a 6th consecutive year the 24MEDIA group participated as a “Gold Sponsor” of the Ermis Awards. By supporting the institution of the Ermis Awards, 24MEDIA demonstrates its support for the advertising sector and rewards creativity in communication. The awards for this year’s “restlessly” creative ideas were presented in two consecutive ceremonies at the “TEATRON” of the Cultural Center “Hellenic Cosmos”. 24MEDIA was proud to present 2 of the awards: Christos Chatziioannou, Head of Native & Branded Content, presented the award for the Direct Agency of the Year, at the end of the Digital, Design, Direct, PR & Media award ceremony whilst Deppie Papazoglou, Group Account Director, presented the Grand Ermis award in the Branded Entertainment & Content category, at the beginning of the Ad, Production, BEC & Integrated Campaign award ceremony. Tassos Argyros, Group Commercial Director of 24MEDIA stated: For yet another year, 24MEDIA dynamically supports “restlessly” creative ideas and is investing in the growth of the advertising market. It gives us great pleasure to be a part of the Ermis Awards, this unique institution for rewarding creativity and communication in our country. 24MEDIA has announced the discontinuation of its collaboration with Dimera Media Investments LTD concerning the publication of the newspaper ETHNOS. The 1st Changer in CSR & Social Impact conference, organized by 24MEDIA and the strategic communication company “Symeon G. Tsomokos” at the Onassis Cultural Foundation, was successfully completed on Tuesday 30 January 2018. The conference was attended by more than 300 business executives, corporate responsibility specialists and students. Katerina Mouzouraki, ‎Communications Manager of the ‎Trans Adriatic Pipeline (TAP), presented interesting information concerning the construction of the Trans Adriatic Pipeline, the largest project taking place in Greece in the years of the financial crisis, whilst pointing out that the TAP is a Game Changer since it has contributed to a change of mentality in the three years since the investment began. Michalis Spanos, CEO of Global Sustain, analyzed Greece’s priorities with regard to sustainable development. Myrto Xanthopoulou member of the donations management department of the Stavros Niarchos Foundation, spoke about the needs of the social structures system and the necessity for the mobilization of citizens. Dr. Angeliki Kosmopoulou, Executive Director of the A.K. Laskaridis Public Benefit Foundation, underlined the importance of working together for the common good. Also, Angeliki Papadopoulou, ‎Corporate Affairs Manager for ‎Nestlé Hellas, noted that we are responsible for enhancing our quality of life and contributing to a healthier future. Another interesting presentation was the one by Dimitris Mavros, CEO of MRB Hellas S.A., who presented the results of the annual survey by the CR Institute with regard to corporate social responsibility in Greece. Finally according to Konstantinos Tsolakis Corporate Communications & PR Director ANTENNA GROUP, CSR is the reason customers and candidate employees select to follow a certain company. The sponsor of the Game Changer in CSR & Social Impact conference is the TAP. Supporters are: Athenian Brewery S.A., Blue.gr and the G & A Mamidakis Foundation. Media sponsors for the conference are Direction Business Network with CSR Review, CSR Week, csrnews.gr, businessnews.gr, the TV station ANT1, the newspaper Ethnos and Huffpost Greece. The conference was held with the support of the Global Sustain Group and under the auspice of the Institute of Communication.